As much as they challenged and disrespected the Apostle Paul, I cannot imagine they would give Timothy or Apollos any great respect. No wonder Paul couldn’t say with certainty when or if they would come. They doubted his boldness and did not believe he would look them in the face and call them out for their sins. He had soundly rebuked them and assured them that he was being gracious in the letters. He had caused them to sorrow and their sorrow had brought them to repentance. It would not have been difficult to ignore the problem by avoiding them. A real man does not back down from challenge. Paul was that type of man. I certainly do not mean that a real man is confrontational and obnoxious. I only mean that he does not shirk from and avoid situations that must be addressed. Life is a fabric woven together over time. It is not one event after the other. So too those themes that Paul deals with the Corinthians about find their way again and again in the fabric of his letters to them. Surface once and again as Paul works his way through this book. There are other subjects addressed such as spiritual gifts and even the resurrection, but they are couched in the context of these broader (I would never consider the resurrection “secondary”) subjects. became the most well known of them all and the one whose impact has most influenced our world. The reason why charity is the greatest of the threeis because it never fails. The reason why it is so important is because it does not give up. It is childish to quit. It is immature and unchristlike to stop before a thing is finished. None of us are perfect. We see things imperfectly. We do things imperfectly. We will not be perfect until we get to glory. This one thing we can do right now – never quit. We live in a day when many place no stock in doctrine. Subjects such as baptism and the Lord’s Supper, over which early professors of faith divided, defended and even died, have been relegated to secondary matters over which charity must prevail. We’ve come to the place that unity is so prized that nothing is considered an essential. The chapter we consider today is all about authority. The bulk of the chapter has to do with the Lord’s Supper but the Apostle introduces that topic first with a treatise on the chain of authority beginning at Almighty God. His conclusion is that it is not customary or proper for a Christian to be contentious against authority. From there the subject of the Lord’s Supper is introduced with a few words about heresy. I take it that the Apostle would have considered misuse of the Lord’s Supper as both contentious and heretical. Next comes the bulk of the teaching. Finally the subject ends with a warning. To eat the Supper unworthily brings illness and even death upon wayward believers. “Wherefore my brethren” on account of the serious nature of the practice of the Lord’s Supper “tarry one for another.” The point isn’t to wait for others to arrive before we begin but to wait on one another. When it comes to the Lord’s Supper we ought to consider it our duty both to serve one another at the table and to serve one another in preparing ourselves spiritually and doctrinally before the table. If it is appropriate to liken the eating of meat to our standards of personal separation, and I believe it is, then what we see here is that these standards of separation have little bearing on our relationship with God. So far as God is concerned, the one who ate the meat was neither better nor worse than the one who did not. The one who did not eat the meat was neither better nor worse than the one who did not. The issue of standards is not between the believer and God at all. The verses following clearly teach that the issue, a serious one, is between the believer and others, especially others believers. The key to the passage is in verse eleven, “the weak brother perish.” That it speaks of a believer is apparent in the word “brother.” The word perish does not mean, in this case, go to hell or perhaps even die. It means his own spiritual walk is killed. He becomes discouraged, disheartened. This one who had such potential for bearing fruit for God becomes stunted, barren and spiritually lifeless. Consider your own history as a Christian. Have you not seen one who seemed so on fire for God get swept away into worldliness and a less useful Christian service because someone convinced them they were good enough without being sold out for Christ? I have watched people who were once faithful and involved in the ministry make friendships with others less faithful and involved and they then grow less faithful and involved. They did not stop being Christians. They did not lose their salvation. But they did die to their once enthusiastic service to the Lord. Take heed that your own sense of liberty doesn’t kill someone else’s sense of sacrificial service to Jesus. Our culture puts such an emphasis on marriage that a person is thought of as strange if they do not marry within a few years of adulthood. It seems to me that the Apostle Paul, in this chapter, taught about the opposite. Over and over again he references that the best would be to stay single and dedicated to God. He does not forbid marriage. I would even say he recognizes that the majority both of men and women ought to be married. He uses marriage as a picture of the relationship of Christ and the church. It is certainly not sinful or wrong to be married. It can be a pattern of what heaven will be like. One the other hand, he does present this alternative; singleness devoted to the Lord. This chapter then is filled with instructions on how to address the challenges of marriage. If one must marry he or she must understand that there will be difficulties associated with it. Our world has elevated the married life to the point where they have to make new and evolving perverted norms concerning this relationship. People, who should never have gotten married, find they can’t stand their spouse so divorce laws had to be loosened to let them break free. But we are so pushed toward marriage that new norms had to be created for remarriage. This hasn’t worked out so well so many decided to live as if they were married, only without the formality of legal marriage. New norms and levels of acceptance have come to bear on this practice. Of course, some still can’t bear the extended companionship of a heterosexual relationship so they assumed they must be attracted to homosexual relationships instead. Pressure has been so great that our society is beginning to write new rules of culture allowing that homosexual relationships be granted the same legal rights as traditional marriage. This has then opened up doors to even more possibilities of perverse relationships. These relationships have not been any more satisfying for the participants than traditional marriage and the problems have compounded. Much of this could be avoided if our society only presented and offered acceptance of the Pauline possibility-that of a life dedicated solely to God. I understand the aversion to it. It smacks of Roman Catholicism, its forbidding of marriage to its priests and nuns (and the terrible abuses that have arisen from it). I am not speaking of forbidding anybody from marriage. I am only advocating for the possibility that a person’s calling in this life might be one without the burdens associated with marriage. You might ask, “What about the blessings of marriage such a person would miss out on?” First, if those blessings are such that they can’t do without them, they are absolutely free to marry. Second, God is more than capable of replacing those blessings with others far greater. This gets us to the root of the trouble. We don’t believe God. The reason our world would not teach this alternative lifestyle is because they don’t believe God. (I said believe and not believe in because I am convinced every human believes in god of some sort, they just don’t believe God as He has revealed Himself in the Word of God.) This trouble extends into Christianity where we tend to believe God only so far as we are comfortable. If we thoroughly believed God we would be open to the possibility of a life solely dedicated to God. 1 Corinthians 6:15-20 Know Ye Not? Note the difference between bodies in vs 15 and body in vs 19. The individual bodies of each Christian compose the members of the body of Christ and the body of Christ, the whole local church and not the individual member, is the temple of the Holy Ghost. No doubt we ought to glorify God as individual believers. The scriptural way to do that, according to this passage, is in participation with our church. As we perform as members of the body of Christ God places is in, we bring glory to God. A believer who forsakes or neglects his church denies glory to God through disunity to that which Christ loved and gave himself for. Author marvinmckPosted on August 21, 2018 August 30, 2018 Categories New TestamentTags 1 CorinthiansLeave a comment on 1 Corinthians 6:15-20 Know Ye Not? Here we have the church referred to as a lump, as in a lump of bread dough. The lump is worked over, kneaded vigorously, cut in pieces or stuffed in a pan then shoved into a hot oven to become something usable to the owner. I am thrilled that in this case an old lump can become a new lump. Through Jesus Christ no church is locked into old leaven. No church has to be spewed out as distasteful to Christ. If we will but recognize the leaven of sin and remove it we become brand new for the sake of the Lord. But he must never be worshipped. 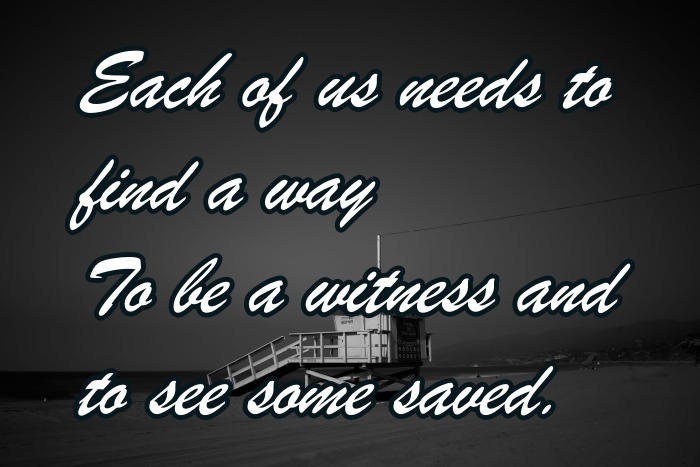 To be a witness and to see some saved.